This sophisticated sterling silver large Russian ring will compliment any look. With three intricately intertwined bands this ring is a brilliant blend of classic design and appearance. 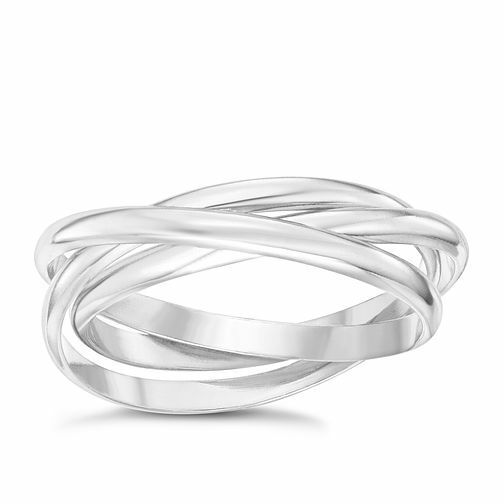 Sterling Silver Intertwined Russian 3 Band Ring Size P is rated 4.0 out of 5 by 1. Rated 4 out of 5 by Anonymous from Good Quality Affordable Ring My girlfriend was very happy with the ring. It's a little more expensive than some of the similar rings online but the quality is also better and the service from H Samuel was excellent.